Alan Committie in his new stand up COMEDY! PLANET MIRTH – a funny look at everything…in HD! It’s time for funnyman Alan Committie to bring us another hilarious look at the world around us…. In this, his 20th one man comedy show, Committie presents a docu-comedy in the highest definition and promises everything we have come to love about his brand of comic madness…. Infectious energy, physical hi-jinx combined with witty wordplay and hysterical observations. PLANET MIRTH is a comic look at….well….everything. Our planet has never been in a more precarious state and that makes it ripe for Committie to unpack how we got here, where we are and how the heck we are ever going to move forward. Using stand up comedy, Committie will attempt to hysterically navigate through history, geography, science and even sport but mostly it will make you look at the world around you and laugh till you cry. Our obsession with hiking, the science of sign language, the craziness of family gatherings, gallons of garnish and confusing astrology are just some of the topics he may (or may not talk about). I have no control over this fella. I simply write the media release…. The perfect tonic to another mad year on this planet. Book now. 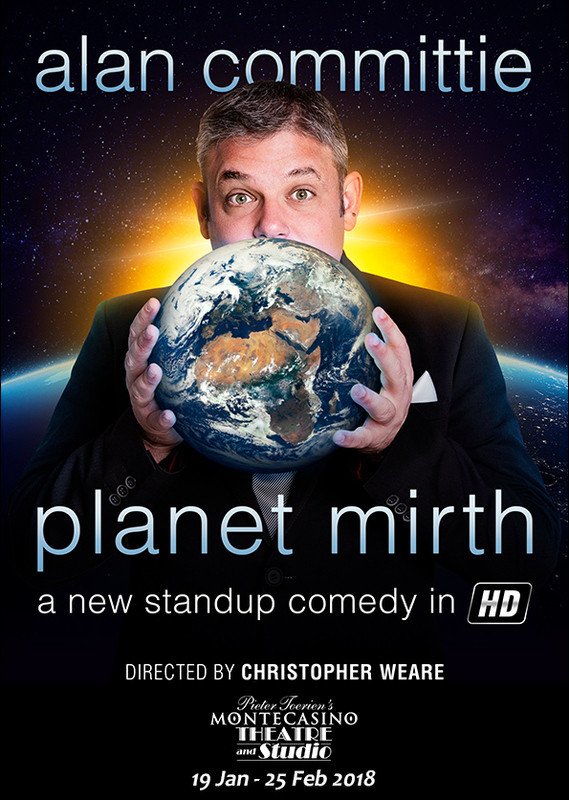 PLANET MIRTH – comedy on a global scale! !